With reported pockets of fighting remaining in Tripoli on Wednesday, the whereabouts of Libyan leader Moammar Gadhafi still were not known. 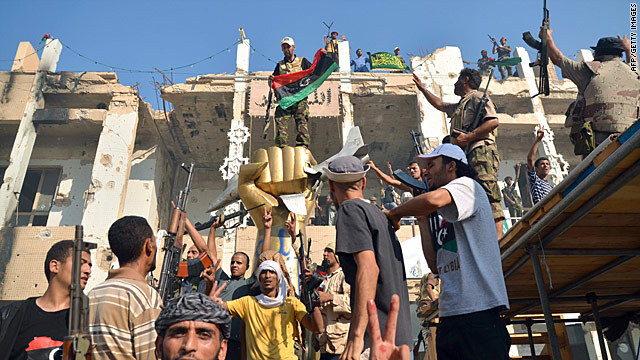 Rebels seized Gadhafi’s vast compound on Tuesday. Celebratory gunfire was virtually nonstop as rebels streamed in and out of the compound, many leaving with weapons and ammunition seized from the complex. A senior NATO official warned that the war "is not over yet, although it's close." [Updated 11:02 p.m. ET, 5:02 a.m. Thursday in Libya] The bodies of 17 rebels killed Tuesday by Gadhafi forces near the longtime leader's compound were taken Wednesday to a hospital in eastern Tripoli, a doctor there told CNN. Dr. Mohammed Rashed said the victims had been executed. Rashed, a Libyan who has worked as a consultant in Britain for 25 years, said he was volunteering with a medical group at a Tripoli hospital when a patient showed up Wednesday seeking treatment for a leg wound. The patient told Rashed that he was one of 25 people who had been abducted from their homes by Gadhafi forces, taken to a military barracks near Gadhafi's compound and accused of complicity with the rebels. As the Gadhafi forces began to execute them, rebel forces began storming Bab al-Azizia, he said. The resulting confusion gave some of the captives the chance to escape, he said. [Updated 9:02 p.m. ET, 3:02 a.m. Thursday in Libya] The humanitarian group Medecins Sans Frontieres, also called Doctors Without Borders, says medical facilities in the capital are overwhelmed with patients. "Almost all of the hospitals around the city are receiving wounded, but some of the hospitals have not been accessible due to the fighting, which means that other hospitals have an added burden," said Jonathan Whittall, MSF head of mission in Tripoli. He described scenes of chaos inside institutions short of doctors and nurses, many of whom have been afraid to travel unsafe streets to get to work. But, he added, "there is a huge number of people who are responding as volunteers and who are going to the hospitals to try and support and assist where they can." Ambulance workers are hamstrung by the fuel shortage in the capital. With electricity only sporadic, hospitals have been running on generators, but they too require gas. Still, he said, "health facilities are stretched, but by no means are they completely collapsed or not functioning at all." [Updated 7:27 p.m. ET, 1:27 a.m. Thursday in Libya] The United States will support an effort by several members of the U.N. Security Council to override the United Nations' sanctions committee and allow countries to free up frozen Libyan assets for the Libyan opposition's National Transitional Council. The Obama administration has tried for days to get approval from the U.N. sanctions committee to unfreeze $1 billion to $1.5 billion worth of Libyan assets, but South Africa has been blocking that move. Libyan leader Moammar Gadhafi funded South Africa's African National Congress - now the ruling party - when it was a liberation movement fighting the white apartheid regime. A Security Council meeting Wednesday concluded without a vote on a draft resolution to free $1.5 billion of assets. If South Africa doesn't lift its objections, Washington will call for a vote Thursday afternoon, U.S. officials said. South Africa - which the officials say does not object to releasing some, but not all, of the money for urgent humanitarian needs - does not have veto power and would not be able to block the resolution. Tuesday's earthquake on the U.S. East Coast shows what can happen when a big event happens with no warning. The cell phone network was overwhelmed, people poured into the streets and social media exploded. I think an earthquake has to be the scariest natural disaster to encounter, because you don't know it is coming. Hurricanes are a whole different story. With all the sophisticated satellite, radars and computers the world has at its disposal, we know days in advance that Hurricane Irene - churning near the Bahamas on Wednesday - is heading toward the Carolinas and will likely pound the Northeast over the weekend. While you can't stop a hurricane from damaging things, you can protect yourself and your family by preparing. 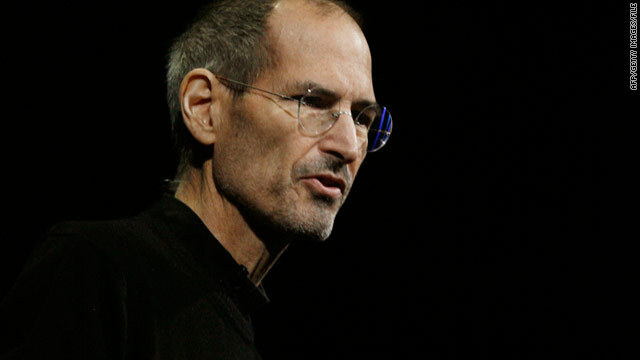 Steve Jobs, co-founder of Apple Inc., has resigned as the company's CEO but will stay on as chairman, Apple said Wednesday. [Updated at 6:57 p.m. ET] Apple CEO Steve Jobs has resigned and will be replaced by former Chief Operating Officer Tim Cook, the company said late Wednesday. Jobs will stay on as Apple's chairman. Apple made no mention of Jobs' health in its statement about the change, but Jobs alluded to it in the letter of resignation Jobs sent to Apple's board on Wednesday and later released publicly. "I have always said if there ever came a day when I could no longer meet my duties and expectations as Apple's CEO, I would be the first to let you know. 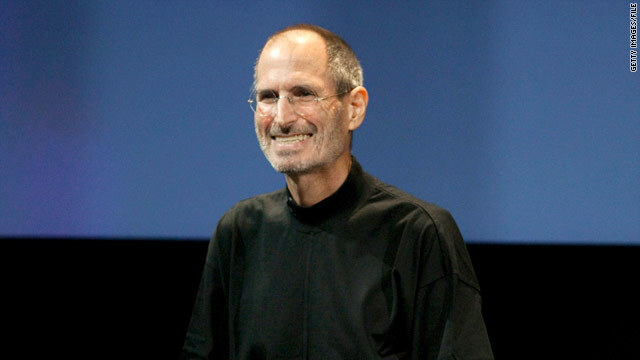 Unfortunately, that day has come," wrote Jobs, who has been on medical leave since January. Cook has been filling in as the company's leader. An Alaska mother's segment on "Dr. Phil" has landed her with the possibility of a jail sentence. Jessica Beagley was found guilty of misdemeanor child abuse Tuesday. In November, she appeared on the talk show to discuss a video she had submitted of her disciplinary method, in which she had her then 6-year-old son hold hot sauce in his mouth and take a cold shower, said Anchorage prosecutor Cynthia Franklin. The video, which Beagley had e-mailed to the show in November 2009, ignited a debate about whether the tactic constituted abuse. In the episode, which aired on November 17, 2010, host Phil McGraw challenges Beagley, calling the discipline over-the-top, outrageous and abusive. Authorities launched an investigation on the same day the episode, called "Mommy Confessions," aired. Beagley's sentencing is scheduled for Monday. She could face a up to year in jail and fine of up to $10,000. Franklin said she was unable to provide any more commentary on the case, because Beagley's sentence is still pending. The segment featured a home movie of Beagley punishing her son for getting in trouble at school and lying about it. In confessional-style explanations, Beagley provided commentary, saying she had tried other methods of discipline, including time outs and spankings, but to no avail. 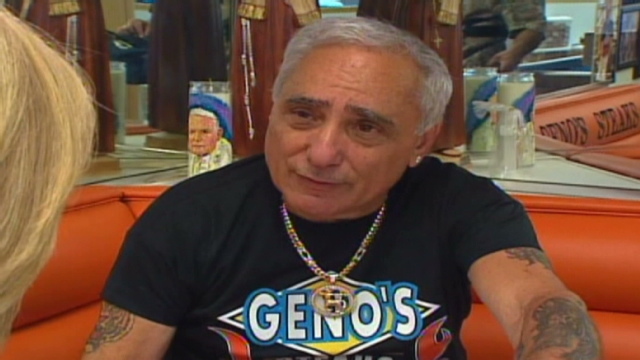 Filed under: Alaska • Child safety • Courts • Justice • U.S.
Joey Vento, owner of Geno’s, a south Philadelphia cheesesteak shop, died of a heart attack on Tuesday. Besides being the owner of one of the city’s most well-known steak sandwich shops, Vento caught national attention in 2006 for a sign he placed in his restaurant urging customers to speak English. And it seems Americans are still debating the English-only concept, but in Vento’s case, CNN.com commenters were more united. A 6.8-magnitude earthquake hit northern Peru on Wednesday, the U.S. Geological Survey reported. Authorities did not immediately report any victims or significant damage. The temblor struck at a depth of 90 miles, about 350 miles north-northeast of Lima and about 50 miles north of Pucallpa, at 12:46 p.m. local time (1:46 p.m. ET), the USGS said. The epicenter is also about 130 miles west of Cruzeiro do Sul in western Brazil. The quake shook buildings hundreds of miles away in the capital and temporarily interrupted phone service there, and postings on social network sites say Ecuador and Brazil felt the quake, according to El Comercio newspaper in Lima. El Comercio reported that people in the cities of Moyobamba, Loreto, Ica and Trujillo also felt the quake. The USGS considers anything above 6.0 magnitude a "strong" quake. 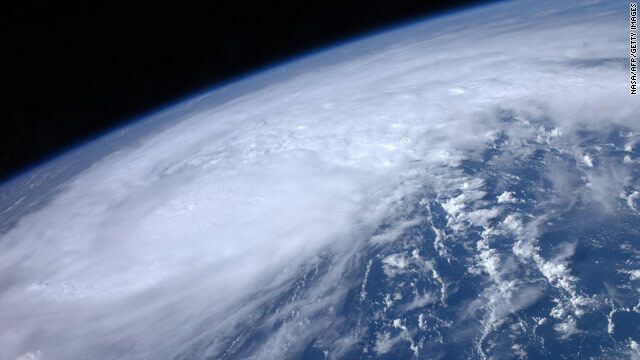 Hurricane Irene looks pretty impressive from the international space station. NASSAU, Bahamas (CNN) - It's quieter than you might expect here in paradise as Hurricane Irene bears down on the Bahamas. The beaches are as beautiful as ever and the people just as friendly. Except many of the beaches have yellow tape blocking them. "DO NOT ENTER," the tape reads, and nobody has. There are very few tourists left. Most departed on cruise ships that pulled out of port overnight or caught flights out before the airport closes Wednesday afternoon. Those tourists who remain are hunkering down in large hotels built to withstand intense storms. Without tourists there is no reason for the souvenir shops and restaurants to stay open. Most have metal hurricane shutters or plywood sheets covering the doors and windows. Brian Nottage owns an ice cream parlor, dive shop and T-shirt store on Bay Street in downtown Nassau. He stayed open Wednesday morning hoping departing tourists may enjoy an ice cream cone on their way out of town but after a few hours he gave up and was putting up the shutters on his businesses. "We've been through quite a few hurricanes, so we're pretty much prepared," he says. "Just basic shutters on all the windows and doors. (With) this particular building we have to be conscious of the flooding, so we tape up the whole of the door because you never know how high the water will get." In typical island fashion, Nottage maintains a mellow demeanor. He's owned his businesses for 30 years and has seen many storms. "I don't think we'll get more than 100, 105 mph winds at best. It's still pretty strong, but we've been through that quite a bit," he says, a little more casually than most people would with a hurricane heading their way. Bahamians have few other options. New Providence Island is only about 20 miles long, so outrunning the storm is out of the question. Before long the task is done and Nottage's shutters are all hung. "It takes a matter of 10 minutes to do a window because we've done it so often," he says. "Mostly we put them up for near-misses, but this one looks like we're going to get it." An unmanned Russian "Progress" supply ship, like the one pictured here, has reported an "abnormal situation." [Update 11:50 a.m. ET] A Russian space freighter carrying cargo to the International Space Station has crashed in a remote area of Siberia, Russian emergency officials said Wednesday. The unmanned Progress cargo craft, which launched at 7 p.m. Kazakhstan time (9 a.m. ET) from the Baikonur Cosmodrome, was due to dock with the ISS on Friday. Rescue teams have been dispatched to the crash site of the Progress-M12M, the regional branch of the Russian Emergency Situations Ministry told CNN. Officials could not immediately confirm whether the crash might have caused any damage on the ground. Russia's Interfax news agency reported that the rocket had come down in the Altai region. [11:11 a.m. ET] Russia's mission control has reported an abnormal situation with a space freighter that launched from the Baikonur Cosmodrome bound for the International Space Station, NASA said Wednesday. The rocket is carrying 2.9 ton of food, fuel and supplies, NASA said, but has no passengers on board. 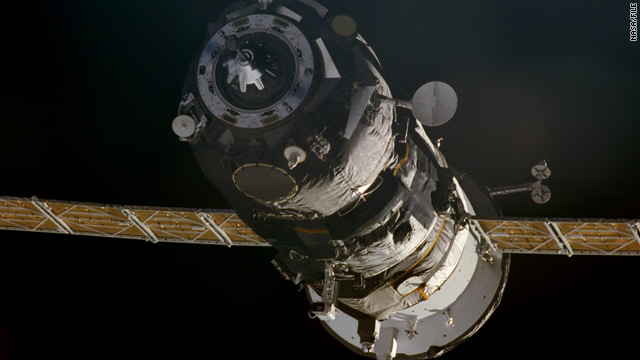 The Progress 44 cargo craft, which launched at 7 p.m. Kazakhstan time, is due to dock with the ISS on Friday. A tanker car of propane burns Tuesday in Lincoln, California. More than 4,800 families were out of their homes in Lincoln, California, on Wednesday morning as a railroad tank car loaded with propane burned nearby. 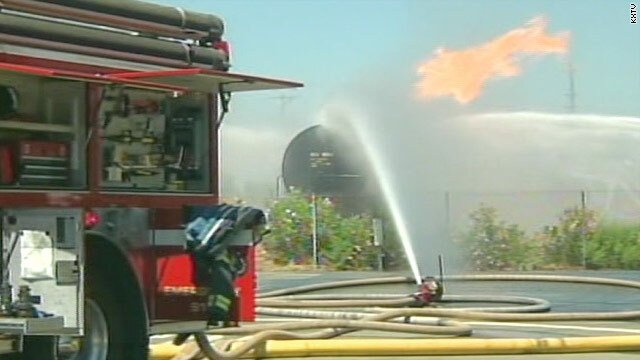 The tank car, loaded with about 29,000 gallons of propane, caught fire around noon Tuesday. Firefighters were spraying the tank car with water to keep it cool but letting the propane burn off, Cal Fire spokesman Daniel Berlant said. Extinguishing the fire could allow a propane gas cloud to form that could cause further damage if it ignited, he said. About 4,800 homes within a one-mile radius of the burning tank car were evacuated, Berlant said. Businesses within that radius were also closed, he said. "The fire continues to burn. We're keeping it (the tank car) cool to keep the pressure as low as possible" to prevent an explosion, Berlant said. The length of the evacuation depends on how long it takes for the propane to burn off, he said. Berlant said the rail car had not derailed. It was sitting on a side track in a propane facility and was not connected to any other cars, he said. The cause of the fire had not been determined, Berlant said. Lincoln is in Placer County, California, north of Sacramento. Read local coverage from CNN affiliate KXTV-TV. The situation in Libya continues to unfold by the minute, while Hurricane Irene continues moving toward the United States. Watch CNN.com Live for continuing coverage on these developing stories. About 27.3 millions are expected to make trips by car during the Labor Day weekend, AAA forecasts. 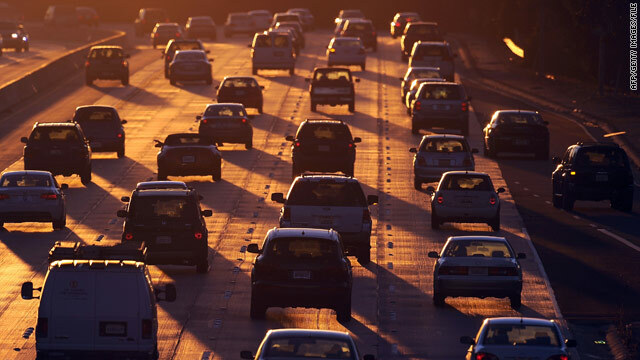 Labor Day travel: The lousy economy has put a damper on travel plans for this Labor Day weekend, according to a report from motorist group AAA. A total of 31.5 million Americans are expected to travel at least 50 miles away from home between September 1 and September 5, the group says. That's down 2.4% from last year, when 32.3 million Americans traveled for Labor Day. The gloomy outlook for the economy is weighing on consumer confidence according to the report, which was produced in cooperation with IHS Global Insight. In particular, it says consumers' discretionary income has not risen enough to keep up with rising travel costs. Despite the anticipated decline in overall travel, the number of Americans traveling by car over Labor Day weekend is expected to edge up 0.5% to 27.3 million. Read the full report from CNNMoney. Hurricane forecast: Hurricane Irene is forecast to become a powerful Category 3 hurricane with winds of more than 110 mph by Wednesday afternoon, according to the National Hurricane Center. 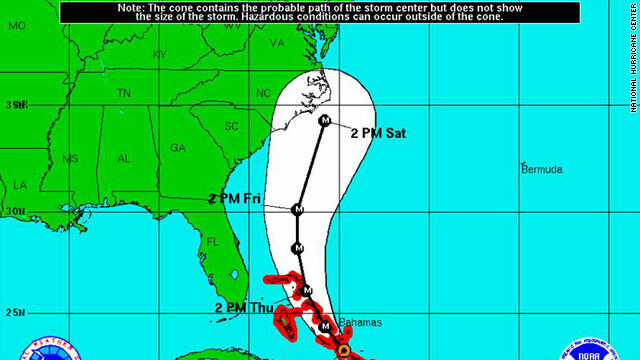 The storm could threaten large sections of the Eastern Seaboard, from the Carolinas northward. Bill Read, director of the Miami-based National Hurricane Center, said the Atlantic Ocean up to Cape Hatteras in North Carolina is warm enough to sustain a major hurricane. The hurricane center's five-day forecast map shows the storm approaching North Carolina on Saturday and hugging the coast throughout the weekend. BART cell phones: Officials with San Francisco's transit system have scheduled a special meeting Wednesday to discuss the agency's decision earlier this month to cut off cell phone signals at select stations to ward off protests. The Bay Area Rapid Transit's board of directors will discuss whether its officers should continue to use the controversial move that has riled up free speech activists. On August 11, demonstrators had planned a rally to bring attention to a number of transit police officer shootings, including the death of 45-year-old Charles Hill. Hill was shot July 3 after a confrontation with officers. The transit agency said protests during rush hour endangered the safety of commuters and employees.